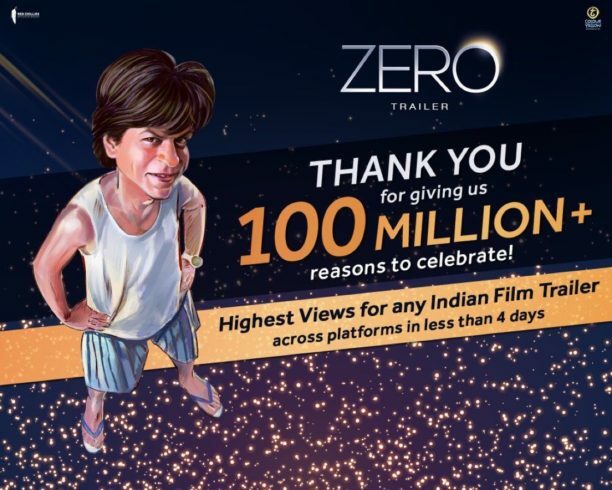 This feat was made complete with #ZeroTrailer trending worldwide on Twitter. The trailer trended at number 1 on YouTube for days and is also the most viewed and commented Indian film trailer on YouTube. In the trailer, Shah Rukh is seen trying to woo Anushka Sharma, a scientist who moves around in a customised wheelchair. Katrina Kaif, on the other hand, is a ravishing superstar who loves the bottle. 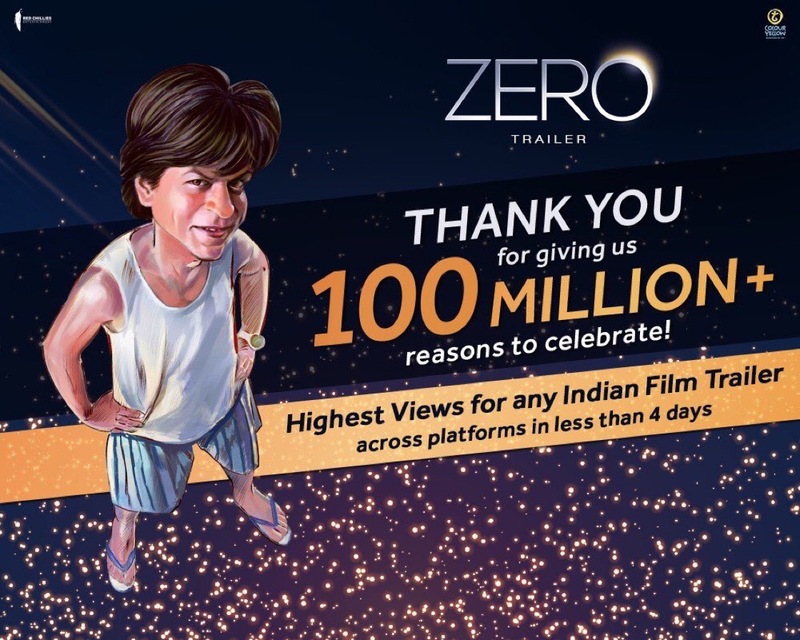 Produced by Gauri Khan, Red Chillies Entertainment and Colour Yellow Productions come together to bring the Aanand L Rai directorial ZERO in cinemas on 21st December 2018. 15 queries in 0.339 seconds.